Welcome to our online monthly digest with links to teaching ideas and resources. Do you have readers who are young or old, reluctant or voracious? Graphic novels are one way to reach a variety of learners. A graphic novel is not the “easy way out” for your students who are reading them. Reading and comprehending a graphic novel involves skills much like their traditional counterpart of the novel. 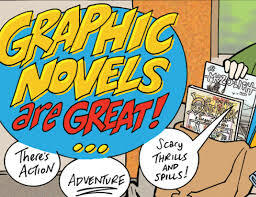 This article by Scholastic provides a general overview of what graphic novels are, how they can be used to promote and support literacy skills for students, and several resources for teachers to use. 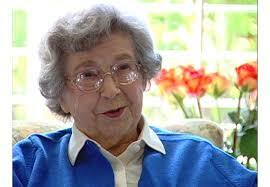 Beloved children’s book author, Beverly Cleary, was born on April 12th, 1916 in McMinnville, raised in Portland, and now lives in California. In 1950, Cleary published her first book, Henry Huggins, which is about a boy, his dog, and his friends who live in the Hollywood neighborhood in Portland. The Oregon State Library, Oregon Library Association, and Oregon Public Broadcasting (OBP) are partnering to celebrate Beverly Cleary’s 100th birthday. Here are some ways to include your elementary students: The 100 Years of Beverly Cleary webpage offers many suggestions, including games to play, ideas for Drop Everything and Read since the activity originated in a Ramona book, and details about hosting a screening event for the 30-minute OPB documentary, “Discovery Beverly Cleary.” The show will be available online for anyone to watch soon after it airs on April 7th. In the meantime, folks can explore OPB’s interactive site about Cleary. I am working with teachers on creating Text-Dependent Questions for their classroom assessments and encourage them to use “strong verbs” on Bloom’s list or DOK. K-12 classroom strategies, graphic organizers, computer games and movement activities are included to reinforce the definitions of key verbs and nouns. With the demands of CCSS and other district requirements, have you f ound that the time for reading aloud to your class is quickly shrinking? Or does using precious class time for a read aloud now feel like a luxury? Repeated research shows that reading aloud (by teachers and parents) to children of all ages, yes, even high school students, has BIG academic benefits. 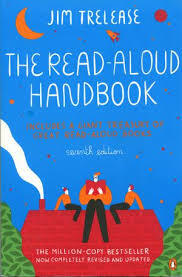 Click here to read an interview with Jim Trelease educator and author of The Read-Aloud Handbook. He has compelling reasons why read alouds are so important to academic success. 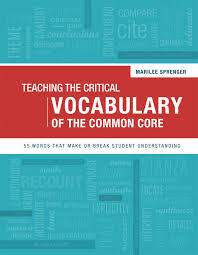 Also, find tips on how to do a great read aloud and a list of recommended read aloud books for students of all levels. Time spent reading aloud is time well spent! While listening to many great speakers at a recent literacy conference Portland, one message was clear: early childhood educators need to put a great emphasis on sight words. A National Early Literacy Panel report shows that this is one of the strongest predictors of future literacy success. When children have a solid base of sight words, it accelerates their reading progress. By third grade, reading texts contain 75% sight words. If we want children reading at grade level by third grade, it seems a boost in sight word vocabulary would be most helpful. 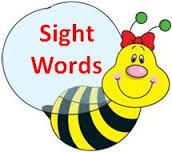 The teaching of sight words can be brain friendly and joyful. Practice spelling words with the following: pipe cleaners, wikki stix, stir straws, glass blobs found at craft stores (shiny and smooth, kids love them), magnetic letters and cookie sheets, letter tiles or even legos. Put sight words on the classroom door and have children high 5 a word as they say it on their way out. Games and more games! Example: turn Candy Land into sight word practice with high frequency words on the board/cards. ABC dough stamps and play dough. Rubber ABC stamps and paper. Sing the words. Our brains are musical and retain information that is put to song, as well as being joyful. Many traditional tunes work well. Frère Jacques for 3 letter words, Twinkle Twinkle for 4 letter words (l-i-k-e spells like, l-i-k-e spells like, l-i-k-e, l-i-k-e). Multnomah County Library now has a wonderful resource to help you find books that are a great fit for your child or a student in your class: Welcome to Reading Kits! Multnomah County Library has kits at four levels: Starting Out (yellow), Building Skills (blue), Reading More (red), and On My Own (purple). Each color-coded bag contains 5 fun books and activities you can do to help your child become a stronger reader. Some kits have books on a specific theme, like Comics, Dogs and Cats, or For Real! Facts. Many kits are called Five to Try, and contain a variety of books at the reading level. Explore several kits and help your child discover what he or she loves to read. The kits are housed at Albina, Gregory Heights, Gresham, Hillsdale and Woodstock locations, but you can place and pick up holds at any library location. 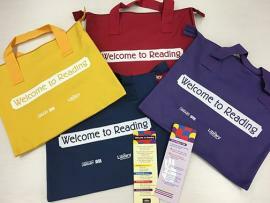 Ask library staff about Welcome to Reading Kits today! Welcome to Reading Kits are made possible by gifts to The Library Foundation. An important conversation happening in many educational settings is the tremendous need for more diverse characters and stories in children’s literature. All too often, our students lack the opportunity to see themselves and their families in the stories they read. Below, find three important articles that highlight statistics surrounding the current state of diversity in children’s literature and compelling reasons to make more intentional choices when we purchase books and when we decide what to read with our children and our students. School Library Journal: “Children’s Books – Still an All-White World? “The Danger of the Single Story” is a TED talk by Chimamanda Ngozi Adichie. In her compelling talk, this novelist tells the story of how she found her authentic cultural voice – and warns that if we hear only a single story about another person or country, w e risk a critical misunderstanding. 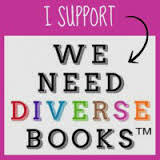 One last resource is We Need Diverse Books, a website dedicated to highlighting the best of diverse literature for children and teens and to heightening awareness through continued education. That awareness and education—for all of us—is an ongoing journey. Are you on the lookout for a free resource that offers complex text with a range of Lexile levels? Are you searching for more ways to engage students with high interest and relevant content? 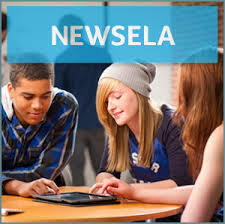 Check out www.newsela.com as a resource. Newsela offers a large archive of daily news articles that are available at five different Lexile levels. With this resource, students with a range of reading ability can access the same content. Available for students from elementary th rough high school, Newsela encourages reading engagement across subject areas with interesting topics, and offers assessment of reading comprehension with common core state standards-aligned quizzes. There are multiple features to explore at no cost, and enhanced access with a paid subscription. Take a look! On August 27th, 2015 Governor Kate Brown signed Senate Bill 612, which requires Oregon school districts to support teachers in understanding dyslexia so they can identify and provide effective instruction for students with dyslexia. As school districts determine how they will best meet the mandates of this new legislation, teachers will continue to look for new and innovative ways to suppo rt their students. 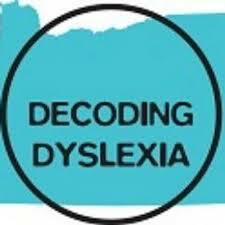 One resource where teachers may gain more knowledge on how to best support the instruction of students with dyslexia is on the free website http://www.decodingdyslexiaor.org/ or you can find great links to articles on their Facebook page at Decoding Dyslexia Oregon. Whether you are a classroom teacher, administrator, reading specialist, or learning specialist, we can all benefit from another source of information to help our struggling readers and learners! If you have been thinking about starting a book group, this is the year to do it. We have increased our funding to $100 per group and can sponsor 15 groups. This is a great way to connect professionally with other teachers and receive college credit from Portland State University. A new book recommended at the ORA conference this summer was Be Fabulous: The Reading Teacher’s Guide to Reclaiming Your Happiness in the Classroom by Jennifer Scoggin. Happiness and teacher empowerment lie at the heart of this book. By combining reliable stories from the classroom with research on best literacy practices, Jennifer offers numerous ideas to help you reconnect to your inner fabulousness and provide the best possible literacy instruction to all students. Text-Dependent Questions by Nancy Frey and Douglas Fisher is another excellent choice for a book group. Preparing young students for the rigors of close and critical reading presents educators with new challenges. Teacher planning of questions to promote deeper thinking and responses has taken on an emphasis in early grades so students think and consider more than literal answers to questions. This book offers practical strategies to meet these challenges. This special day has been designated to show the world and our students the importance and value of literacy! You can access a list of activities to do with your students, and even register your plans for celebrating with your students. Upon registering, you’ll receive resources and information to support your event! Head on over to http://internationalliteracyday.org/ for info on the event and learn more about international literacy rates and statistics. The Portland Reading Council is All Over the Web! We know how busy our members are! Especially during back-to-school time! To help you out, we are on a number of social media outlets where you will find clever tips and ideas, as well as up to date literacy news and information. Last, but certainly not least, we have a Pinterest page! Full of ideas for every type of educator! With 18 boards and counting, you’re certain to find some ideas to help make your upcoming school year one of the best ever! Reading Tips for Parents in Eleven Languages! A child’s success as a reader begins much earlier than the first day of school. Reading and a love of reading begins at home. 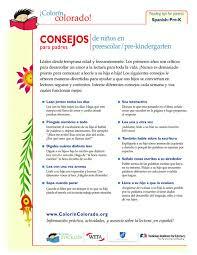 Reading Rockets offers Reading Tips for parents of babies, toddlers, preschoolers, K, 1st- 3rd graders. The one-page Tips are available in English, Spanish, Arabic, Traditional Chinese, Haitian Creole, Hmong, Navajo, Russian, Tagalog and Vietnamese.